Here are three "big guns" you can take when you feel something coming on or are in the throes of it. Also, excellent for preventive during colds and flu season to take on a daily maintenance basis. This stuff is incredible. We discovered it a few years ago upon the recommendation from a guy at church who had gotten rid of a sinus infection he'd had for twenty years taking this. Flat-out kills bacteria, fungus, and viruses. We've had wonderful results with this for all sorts of things and I wouldn't be without it. If you can't get it at your local health food store, you can order it online from the company here. I'd also highly recommend the information at this website, where you can read about uses and dosages. I also might add that there is a whole family of related products and versions that target more specific needs, like easy-to-take capsules for children, a product for lung and respiratory issues, etc. I also purchased a book written by Dr. Cass Ingram called The Cure is in the Cupboard--a definitive work on uses of wild oregano, specifically in this product, and a page-by-page listing of conditions where this is effective and how much to take. Wonderful reference! 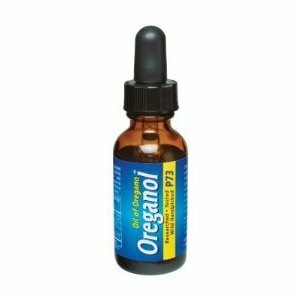 I learned Oreganol is terrific for burns...and it really works! Again, here is a super-hero product that God made! 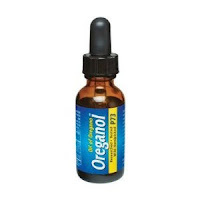 All natural, highly concentrated, it does much of same thing that Oreganol does. You can even 'sterilize' drinking water with it, as many farmers do for their animals. You can find a lot on the internet about GSE, but this website is a great starting point. 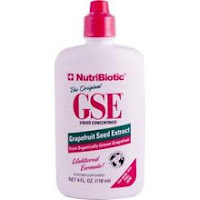 I'd like to add that both GSE and Oreganol do not take out the "good guys," the probiotics in your gut that your body needs as its first-line defense. A good thing! This was a more recent discovery for us, a recommendation by our naturopath chiropractor. 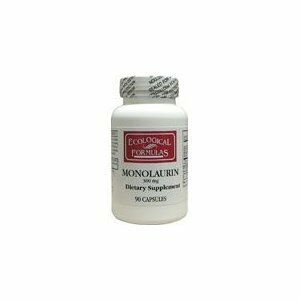 Monolaurin is a natural derivative from coconut (yay, God!) and is actually found in mother's milk. It's form of attack is to dissolve the lipid coating around virusus, bacteria, and fungus (which is acid, not alkline--the good guys in our body have an alkaline coating--amazing! ), which allows your own body's defenses to come in for the kill. Great for flu! This is not an expensive product and is put out by various companies and in varying strengths. I'd recommend starting with the 300 mg. to start with until you know how much you need. These are all wonderful helps both before and during an illness to aid your body in the fight. Vitamin C - My chiropractor recommends up to 6000 mg. a day when you feel something coming on. If high doses bother your system, try taking the Ester-C version which is alkaline. Echinacea - A come-alongside-and-help-whatever herb. It seems to assist the effectiveness of Vitamin C. We try to get the standardized version instead of just the straight herb so we can count on a consistent potency. Garlic - In any form this is fantastic, God's natural antibiotic. However, the very best and most effective way to take it is raw. We chop it up and sprinkle it on cook veggies with some lemon juice, or sprinkle it on brown rice. Actually, it seems to enhance anything from salads to main dishes. Goldenseal - Another natural herb that acts like antibiotics. In fact, they recommend you limit taking this to a week as it takes out the good guys, just like antibiotics do. Great for bacterial infections. Olive leaf - A potent herb that is also good for sinus, dental, and other bacterial infections. Probiotics - I never knew how critical these were to a person's overall health until a read a book by Dr. Jordan Rubin, The Maker's Diet. When you take regular antibiotics, they kill these off in your system, leaving you with a reduced immune defense. This happened to me a few years ago, which opened the door to candida and other difficulties. SO...you should have these every day in some form--plain yogurt, kefir, capsules, etc. An excellent discussion about this in in my favorite cookbook, Nourishing Traditions by Sally Fallon. So there you have it! I can attest to the value of each thing I've mentioned here, and would recommend your own research if you're not already using any of these natural remedies. It amazes me how wonderfully the Lord has provided what we need right in the things that we grow and eat. And of course I would be remiss if I did not say that the BEST help of all is prayer and trust in the Lord's wonderful provision for healing for us! Great post! You and I use lots of the same remedies. I always keep a good supply of Oil of Oregano and Grapefruit Seed Extract on hand, in addition to the ones I make from plants. I used to use the brand you have listed, but I have since found two that are MUCH, MUCH less expensive, and work as well or better. One is Planetary Herbals, ane the other is Source Naturals. I've never heard of Monolarin, but I will check on this one. Thanks for mentioning it. 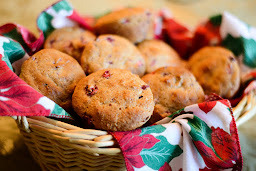 I love Sally Fallon's book, Nourishing Traditions. There is so much excellent information packed into that book. Awesome! So, would you take all these at once or one depending on what you have? In answer to your question, Jenn, no, we don't take them all at once. We pretty much do the Oreganol and supplements when we're fighting stuff. 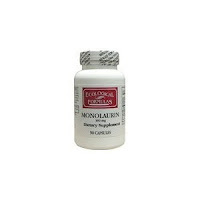 Each of us responds differently to the GSE and Monolaurin, so I kind of adapt to each one's need. However, the support herbs, garlic, probiotics, etc., I try to incorporate daily just to keep our immune systems strong. I also should have added that we don't do sugar when we're sick! That actually competes with Vit. C for presence in our cells and negates the work of our immunities.